Halsey and Bebe Rexha rule the stage 101.3 KDWB’s Jingle Ball 2018 held at Xcel Energy Center on Monday night (December 3) in St Paul, Minn. The two talented musicians put on amazing performances during the holiday concert series in the chilly city. Bebe and Halsey were joined at the event by Sabrina Carpenter, Dinah Jane, Bazzi, Kim Petras, The Chainsmokers, Kelsea Ballerini, and Monsta X. During the concert, Dinah debuted two new songs called “Retrograde” and “I Don’t Mind”, which fans at the event got on tape. FYI: Halsey is wearing a Trunk LTD. X Beastie Boys tee. Normani and Khalid perform their hit song “Love Lies” at WiLD 94.9′s FM’s Jingle Ball 2018 held at Bill Graham Civic Auditorium on Saturday (December 1) in San Francisco, Calif. The 22-year-old Fifth Harmony singer made a special appearance during the 20-year-old singer’s set. 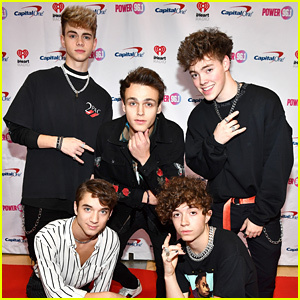 Also performing at the concert were Sabrina Carpenter, Alessia Cara, KPOP band MONSTA X, Bazzi, 5 Seconds of Summer, and Calvin Harris. The night before, Alessia, Normani and Khalid hit the stage in Los Angeles at 102.7 KIIS FM’s 2018 Jingle Ball. Be sure to check out all of these performers plus many more at upcoming Jingle Ball Tour shows across the US. Click HERE for a full list of dates, cities and performers! Monsta X: 'Take. 1, Are You There' Album Stream & Download - Listen Now! 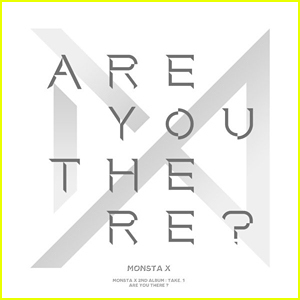 Korean pop sensations Monsta X have dropped their highly anticipated second album Take.1, Are You There?, and you can stream it right here! The superstar K-Pop boy band’s – made up of members Shownu, Wonho, Minhyuk, Kihyun, Hyungwon, Jooheon and I.M – new album consists of 10 new tracks showcasing Monsta Xs’ expanded musical explorations into multiple genres including EDM, R&B, Latin rhythm and more, along with their signature sounds. 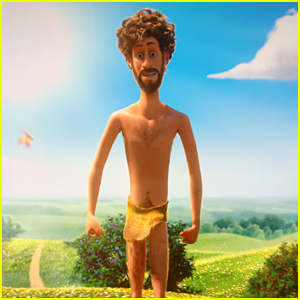 The album was simultaneously released along with a music video for the title track “Shoot Out” – Watch it after the cut! Jooheon of Monsta X Releases Debut Mixtape 'DWTD' - Listen Now! Jooheon of Monsta X is making his big debut! The 23-year-old South Korean rapper and pop superstar released his debut mixtape DWTD on Friday (August 31). 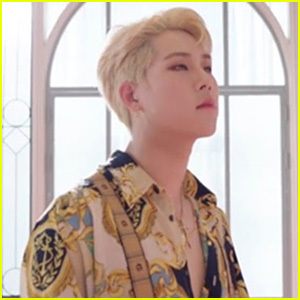 In addition to dropping his highly anticipated debut, Jooheon also dropped the music video for title track “Red Carpet,” which was co-produced by BOYCOLD and written by Jooheon. “I try to express the life that I’m living these days and thirst and passion about rapping,” he said about the release. Watch the “Red Carpet” video below, and stream the mixtape below! The boys of Monsta X are not opposed to trying out solo musical careers. During an appearance Good Day New York on Tuesday morning (July 23), band member I.M. was asked if the group had ever considered working on solo projects. That same day, the guys – members Shownu, Wonho, Minhyuk, Kihyun, Hyungwon and Jooheon – also stopped by the BUILD Series for a lively discussion surrounding the origins of the group, what it is like being an idol and their dream careers outside of K-Pop. 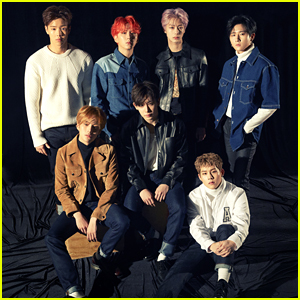 In case you missed it, Monsta X were kind enough to supply JustJared.com with some fun facts about themselves – Check them out here! Monsta X are officially taking over! 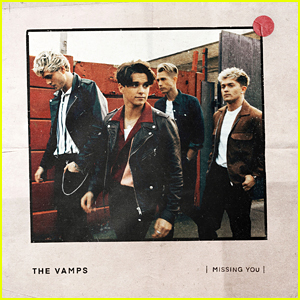 As a result, the group is heading out on their second U.S. tour, which kicks off on July 20 in Chicago and makes its way throughout the United States, wrapping up on August 3 in Los Angeles. Before they bust a move on stage all over the country, the boys were kind enough to supply us with some fun facts about themselves. Find out more about Monsta X inside!